Government got 3 months to decide if it can make yoga compulsory for the age category between six years and 14. The petitioners have been given liberty to re-approach the court if they were “not satisfied with the government’s response”. 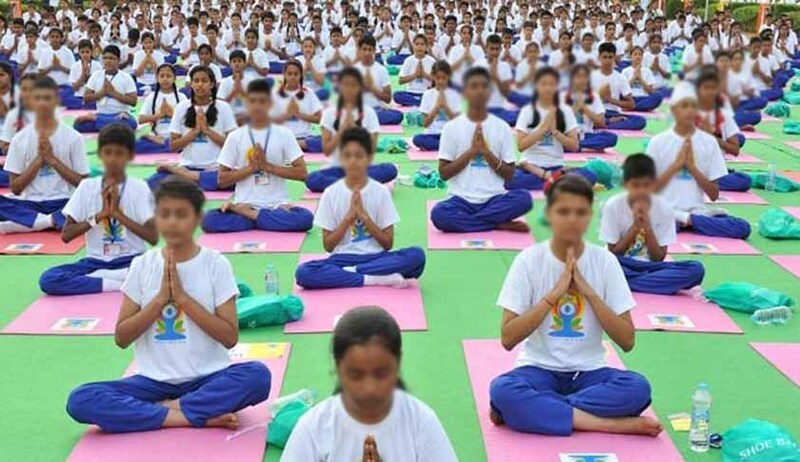 The Supreme Court today asked the Centre to take a decision regarding making the ancient practice of yoga mandatory in schools for students aged between six and fourteen. A bench of Justice Madan B Lokur and Justice Adarsh Kumar Goel was acting on separate petitions filed by lawyers J C Seth and Ashwini Kumar Upadhyaya seeking imparting yoga training in schools. The bench asked advocate Ajith Sinha who appeared for the Centre to take instructions on the issue and gave the government three months to decide if it can make yoga compulsory for the age category between six years and 14. The petitioners have been given liberty to re-approach the court if they were “not satisfied with the government’s response”. It is to be noted that on November 8, another bench headed by chief justice T S Thakur had refused to entertain Upadhyaya’s petition saying “We cannot impose yoga on anybody and it was up to each individual to practice it or not”. The court had however allowed him to intervene in the pending petition filed by advocate Seth on the same issue which was taken up today. The petitions sought inclusion of yoga as a compulsory subject in the curriculum on grounds including that its “secular” and right to health was an integral part of right to life. Upadhyaya’s plea sought a direction to the ministry of human resources development, National Council Of Educational Research And Training (NCERT), National Council For Teacher Education (NCTE) and the Central Board of Secondary Education (CBSE) to “provide standard textbooks of ‘yoga and health education’ for students of Class I-VIII keeping in spirit various fundamental rights such as right to life, education and equality”. Right to Health is an integral part of Right to Life under Article 21 of the Constitution. It includes protection, prevention and cure of the health and is a minimum requirement to enable a person to live with human dignity, it said. “State has an obligation to provide health facilities to all the citizens, especially to children and adolescents. In a welfare state, it is an obligation of the state to ensure the creation and sustaining of conditions congenial to good health,” the plea said. It said that Right to Health cannot be secured without providing ‘yoga and health education’ to all children or framing a ‘National Yoga Policy’ to promote and propagate it. “There are about 200 million children, throughout the country, studying in primary and junior classes at the cost of public exchequer. Yoga should be taught to them as a compulsory subject as per the National Curriculum Framework 2005, notified under Section 7(6) of the Right of Children to Free and Compulsory Education Act 2009...,” it said. The plea also said that a court at California had held that “yoga is secular”.